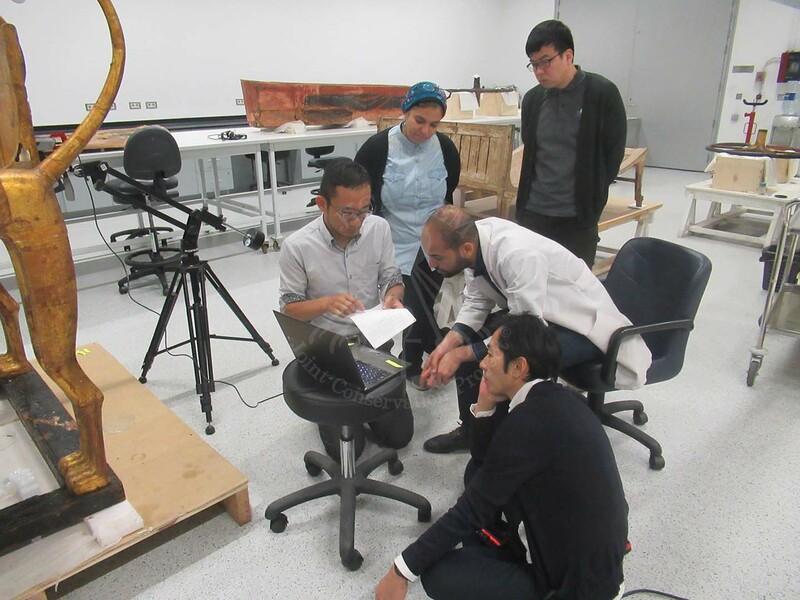 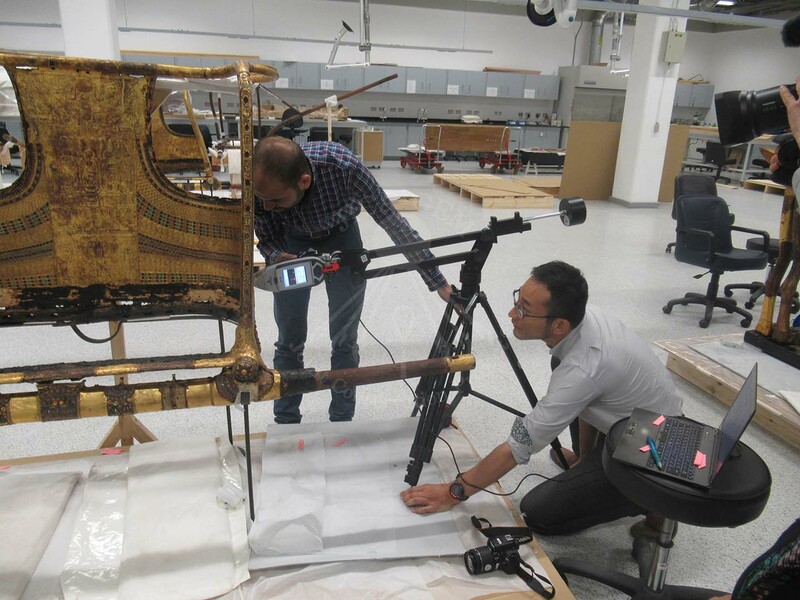 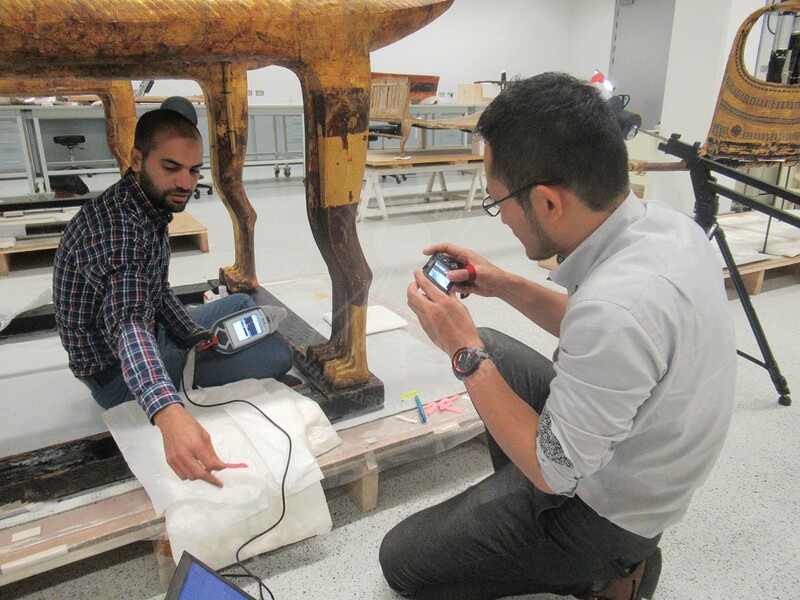 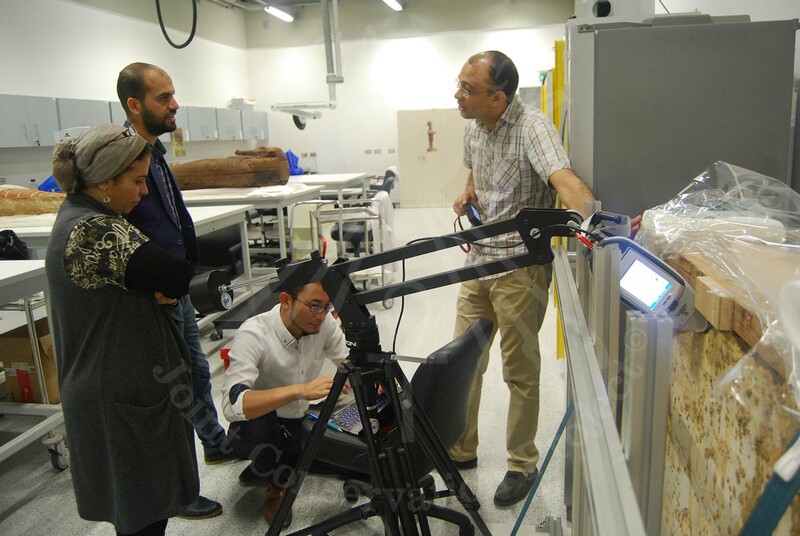 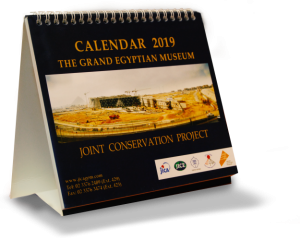 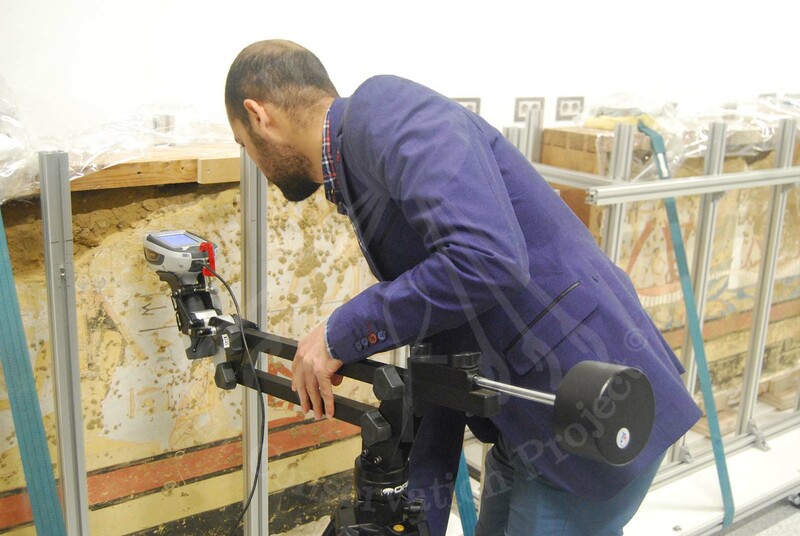 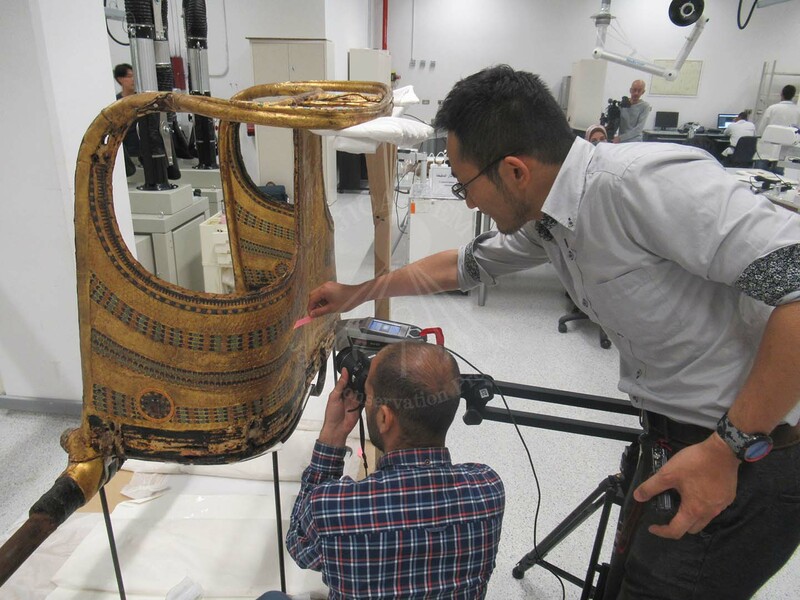 Throughout the past two weeks, the wood and mural lab members at the Grand Egyptian Museum Conservation Center have been diagnosing the new artifacts that have been recently transported to the museum. 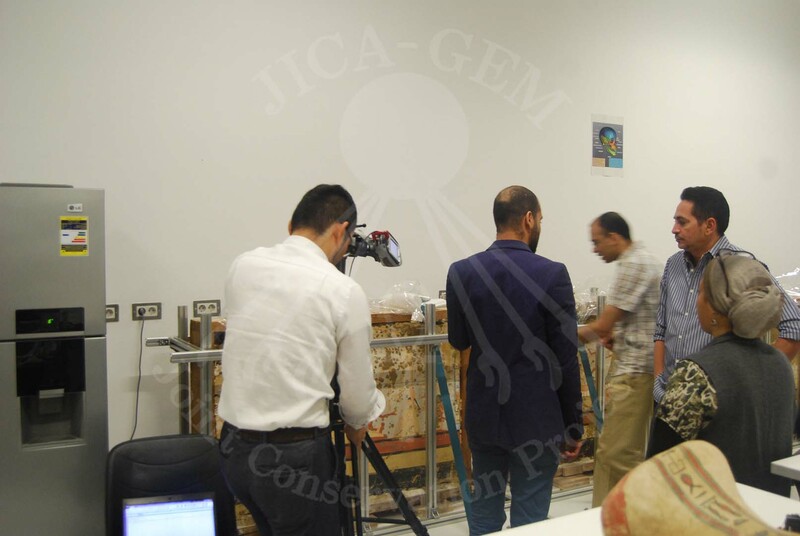 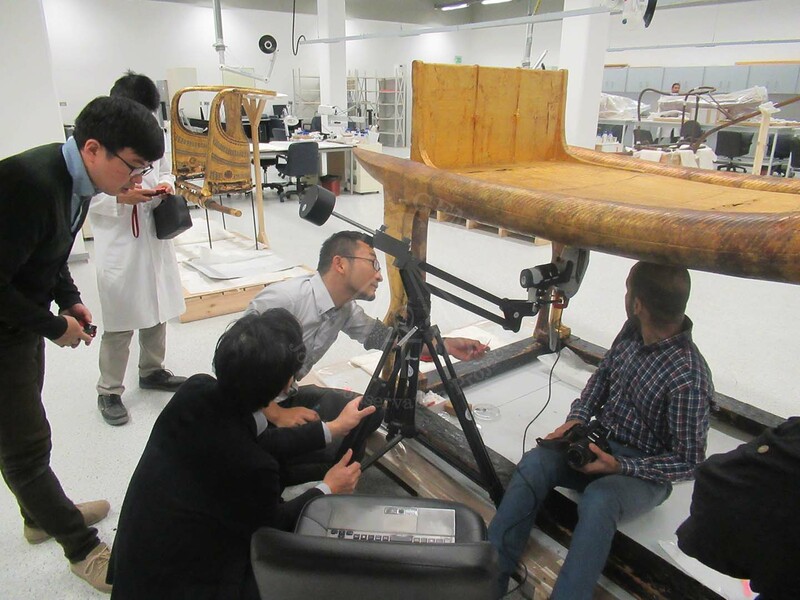 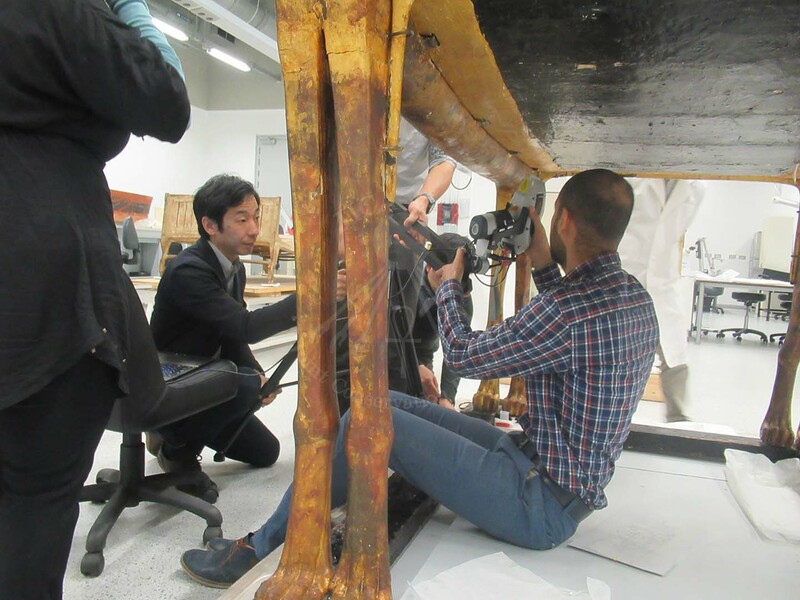 The analysis was conducted with the help of Japanese diagnostic analyst and wood experts from the Joint Conservation Project, using XRF, a machine used to identify the elements and metals found in these artifacts. 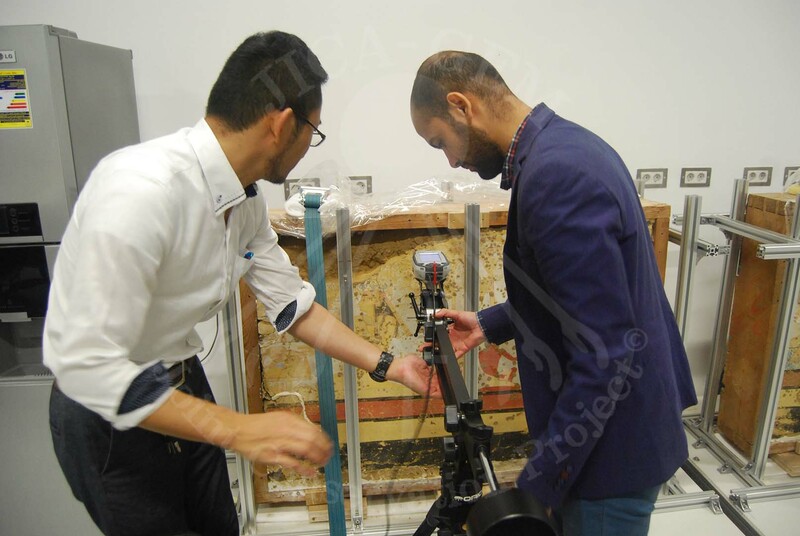 This analysis helps the conservators in knowing whether conservation is needed or not as well as how each artifact should be conserved.